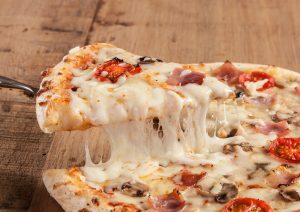 For the best deep-dish pizzas and Greek salads, visit Porto-Fino Pizza & Restaurant in New Castle, Delaware. Our restaurant also serves a variety of fresh salads, subs, steaks, burgers, wings, and more. You and your guests are sure to find something wonderful on our menu. Our pizzas are made daily with fresh dough and sauce. They are topped with 100% whole milk mozzarella cheese and other top-quality, fresh ingredients. We are widely known for our Porto-Fino Special and House Special. The Porto-Fino Special has pepperoni, sausage, onions, green peppers, mushrooms, and sweet peppers. The House Special comes with pepperoni, ripe tomatoes, sausage, and feta cheese. 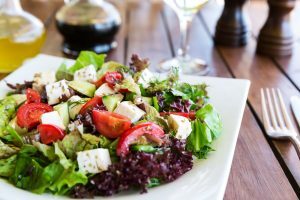 Eat a delicious and filling Greek salad from our restaurant. Our salads are made with fresh, crisp lettuce, ripe tomatoes, onions, green peppers, cucumbers, thick slices of feta cheese, kalamata olives, and pepperoncini peppers. We top it with our famous homemade Greek dressing.